A sparkly treat by Holly Webb! Dream or nightmare? How will Chloe cope at stage school? All her life, Chloe has dreamed of being on stage. Now she’s won a place at the Shine School for Performing Arts! She’ll take classes in dance and drama every day, and make new friends who share her passion. What could be better? 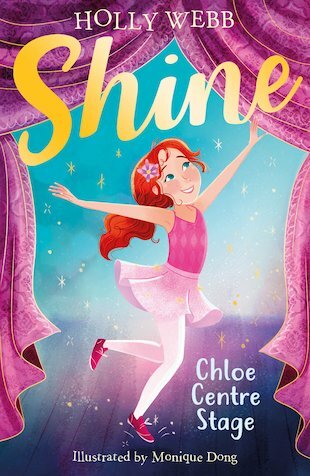 But while the talented Chloe was a bit of a star at her old school, at Shine it’s much harder to stand out. And when she finds herself the centre of attention for all the wrong reasons, it looks as if she might be expelled. Is this the end of Chloe’s dream – or can she turn things around?